Wish your home network was a little bit faster? Oxford University in England is on the job. According to the IEEE Spectrum, the 919-year-old research university has created a new light-based “Li-Fi” data connection capable of delivering speeds of 200 gigabits per second and higher. The new technology requires the installation of a base unit on the ceiling of a room. That box uses holographic beam steering, powered by an array of liquid crystals, to reflect light towards your computer and receive light-based data back in return. Oxford University photonics engineer Dominic O’Brien says the device is somewhat similar to what is used in projectors. 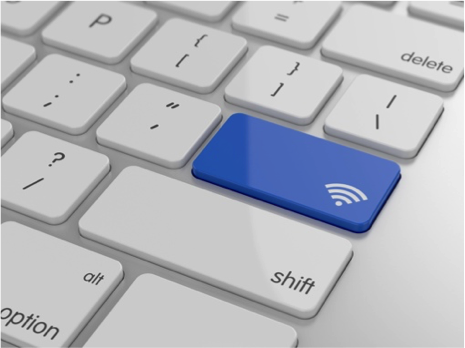 Traditional Wi-Fi signals use a limited set of radio frequencies to transmit data. This allows Wi-Fi to reach more areas of your home, but at the cost of speed – it’s limited to only about 7 Gbps. With Li-Fi, scientists were able to transmit 37.4 Gbps worth of data on 6 different wavelengths, or 224 Gbps in total. Indoor optical wireless may be crazy fast, but it does have a major drawback. As currently designed, it requires both a direct line of sight and for the receiver to be in a fixed position. Researchers hope that this technology will eventually be able to “find” the receiver on its own – an important step for laptop and smartphone owners – and ultimately use the light that illuminates your room to also send data. For more information on the tech, check out the IEEE Spectrum blog. For more information on improving your existing home Wi-Fi network while you wait out Li-Fi, check out our guide to Wi-Fi range extenders and 802.11ac router technology.